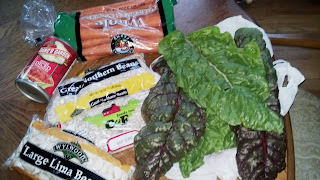 Above is the food I bought from Save-A-Lot except for the Swiss Chard, that came from my garden. I spent less than $10 on the following items. If you are looking to feed your family the healthy way and stick to a budget, nothing is more nutritious and economical than beans. 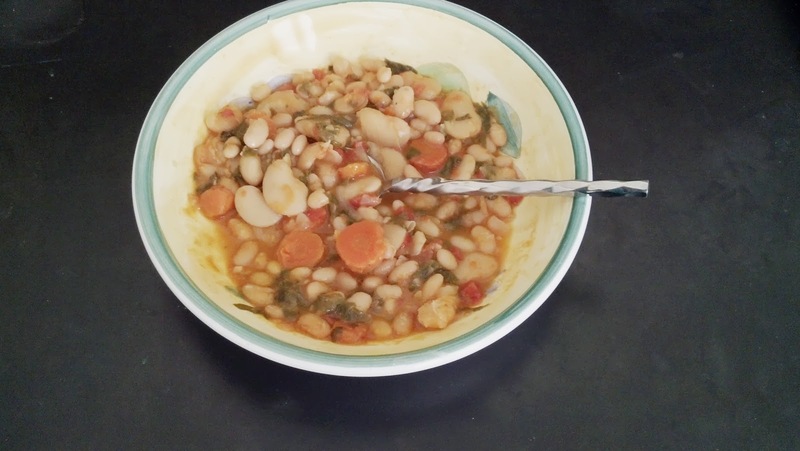 I made a stew consisting of Navy, Lima and Great Northern beans, 2 large carrots, 1 can of diced tomatoes, and 4 Swiss Chard leaves. Where's the meat? If you desire to have some meat, you can use turkey necks, turkey bacon or one small ham hock to add some flavor. One doesn't have to add meat because beans will provide the essential amino acids (protein) which one needs in his or her diet. Beans are also high in fiber, calcium, and iron. It tastes better than it looks. I have been eating it for lunch and it's so filling, I haven't had a desire to snack between lunch and dinner. Beans, I feel are a natural appetite suppressant. If you don't like my recipe, here are three recipes you can try that has the combination of beans and Swiss Chard. What are your favorite beans? Do you make beans stews for your family? I love all of these beans separately but I have never mix them. I may try this tomorrow in a crock pot. I'll just add the veggies last. I'll let you know how it turns out. Welcome back Gumbo Hair! I love mixing beans and I think it just adds flavor to the bean stew. This looks delicious! I love beans too, and have almost all of the ingredients in my house at all times. Looks like I'll be making a pot of this soon! I love the fresh green color of leafy vegetables in the picture. It reminded me going to farmer's market. I love to eat different kinds of beans especially Garbanzo beans because I can use for different things example for salads, Tabbouleh, Hummus or substitute for flour. This looks delicious. 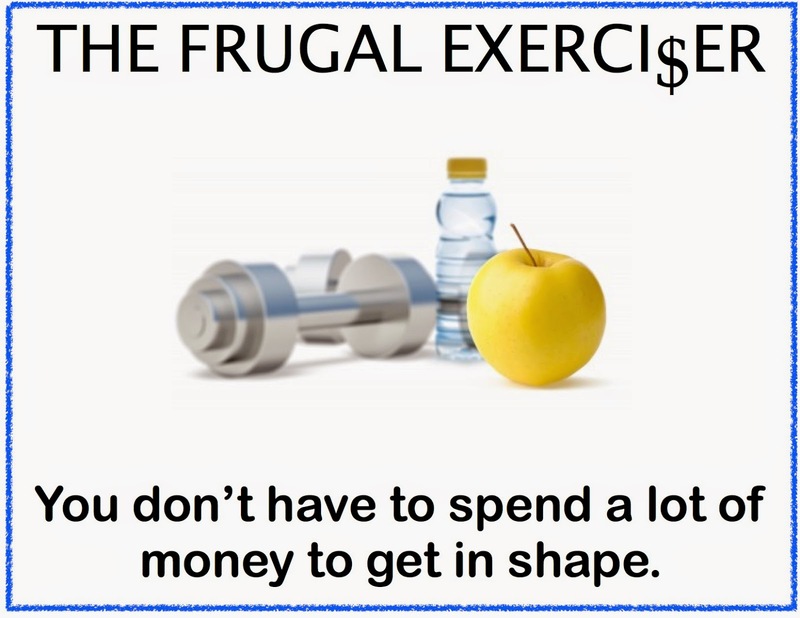 Cheap and nutritious. To me, the soup looks great!! I love bean soup and with the addition os swiss chard it is a perfect meal. Sounds like a great recipe, I cant wait to try it! I make different soups all year long & freeze them until needed. Thank you for a new one to add to my collection! 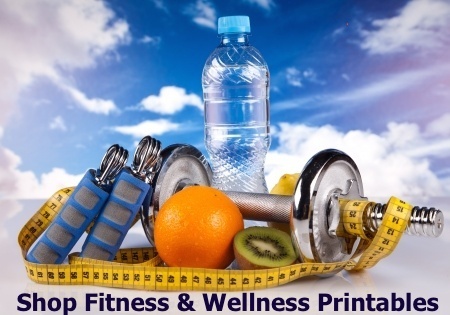 I've been searching for healthy yet inexpensive food lately! This is perfect! To me this looks so good and hearty. I love beans as a soup. Lima beans are my favorite, too! yummmm! This sounds wonderful! A perfect fall recipe. The other recipes sound delish, too. If I was a billionaire, I'd still want beans, beans, beans! I'd just have them under glass! Thank you for your recipe. I love bean soup, but never considered putting Swiss Chard in it. What a great list of ingredients. Love this. I am always up to try reasonably priced healthy recipes. Thanks for this! I think it looks delicious. My favorite beans are green beans and lentils. I don't think I've ever had a bean stew.